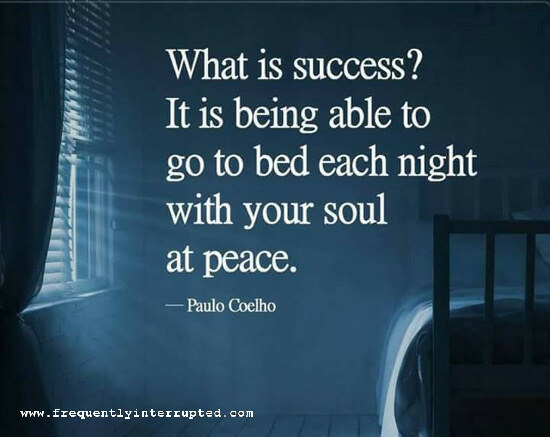 Frequently Interrupted: What Is Success? Too many people measure success in accomplishments, without considering what has happened around those accomplishments. Have you truly succeeded if you made it to the top but left a road of ruin behind you? Or are you more successful if you're somewhere in the middle but surrounded by love and happiness? I'll take the latter, and sleep peacefully.